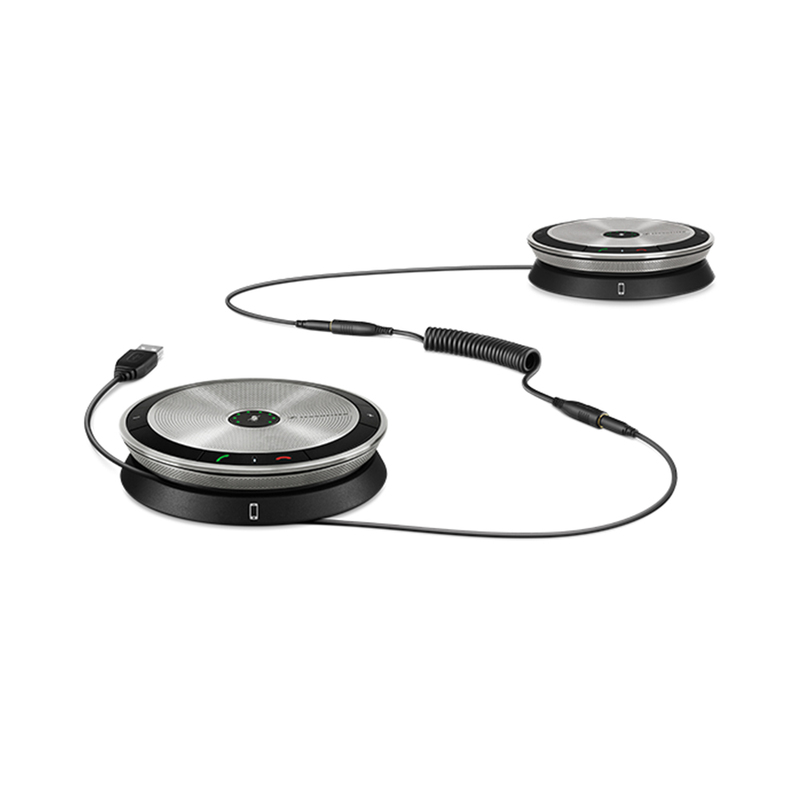 The Sennheiser SP 220 MS is a Skype for Business certi ed, portable, dual speaker- phone solution that brings the conference closer, within reach of every participant. The Sennheiser SP 220 MS is a Skype for Business certi ed, portable, dual speaker- phone solution that brings the conference closer, within reach of every participant. Designed for professionals requiring ex- ible and scalable conferencing solutions. It instantly connects via PC, mobile phone or tablet and is ideal for effortlessly creating high-quality audio conferences – from small huddle rooms to larger meeting rooms. Building on the award winning Sennheiser Speakerphone Series, the SP 220 MS dual speakerphone adds reach and style to any conference room, allowing more users to ex- perience excellent Sennheiser sound quality and voice clarity.